While surveying the dense woodlands of the Northwest, a pilot reports seeing strange visions in the sky--just before his radio cuts off in mid-sentence. Days later, the same pilot is found wandering in the desert thousands of miles away, babbling incoherently. 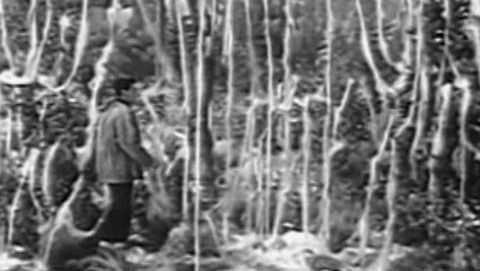 When the wreckage of the plane is found, it is covered with curious strands of gossamer which immediately disintegrate when touched. Hard-nosed airline executive Paul McCord (Robert Douglas) demands to know what has happened--but by this time, the deranged pilot is in no position to say anything.